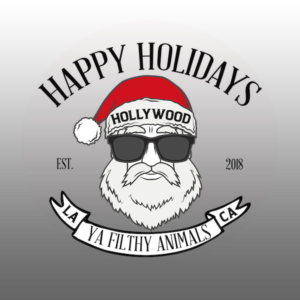 Happy Holidays Ya Filthy Animals is in no way affiliated with any film company, movie brand or movie studio including fox. The event is inspired by some of our favorite movies as fan inspiration and completely unofficial. Guests will have a chance to pose for a fun photo or boomerang in the holiday photo booth rental provided by CEG Interactive. Shareable images can be downloaded to the guest’s phone and shared on social media. Tickets are required to attend! Two cocktails of your choice , the outdoor winter wonderland bar with snow and s’mores fire pit. We are open Wednesday-Sunday from 6pm-midnight. We are available for private parties and rentals too!